The new screening cameras – being placed at various locations in the L.A. Metro system – can detect both metallic and non-metallic objects on a person's body. They are capable of screening up to 2000 passengers per hour. The L.A. Metro, serving Los Angeles County in California will become the first mass transit system in the United States to install people-screening technology. The machines incorporate technology originally developed by ESA to help understand galactic evolution. "We now have the ability to obtain early visual warning of person-borne improvised explosive devices or weapons that are intended to cause mass casualties," commented L.A. Metro CEO Philip Washington, unveiling the system in August. 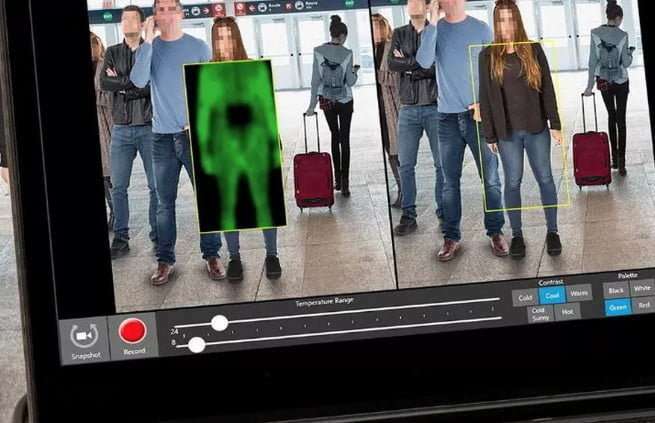 Developed by UK company Thruvision, the body scanners are non-invasive, passively screening individuals for suspicious objects. They work by detecting the absence of the naturally occurring, extremely high-frequency 'terahertz' waves, emitted by anything that is warm – including the human body. "When an object is hidden in clothing or strapped to a person, these waves are blocked and their absence is detected by the system's software," explains Stefan Hale, Chief Operating Officer of Thruvision, based near Oxford, UK. "The technology does not emit radiation of any kind and no anatomical details are displayed." 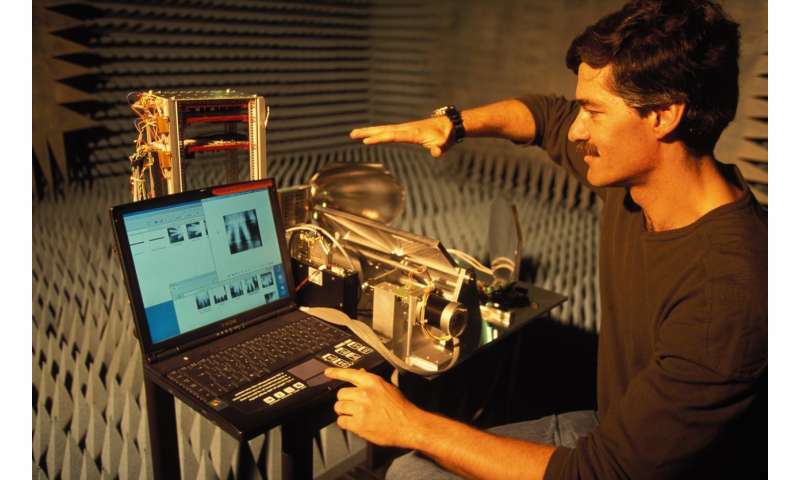 The first working terahertz camera was developed in the early 2000s, by an ESA-led team working out of the Rutherford Appleton Laboratory in the UK, aimed at future space missions. Several team members went on to start Thruvision to spin off the technology for terrestrial uses. ESA engineer Peter de Maagt led the original team: "Observing galaxies in the terahertz range can help us better understand how they were formed in the early Universe, and how stars have formed throughout history. "And in environmental monitoring, these frequencies can reveal details of ozone depletion as well as helping us understand global climate change." 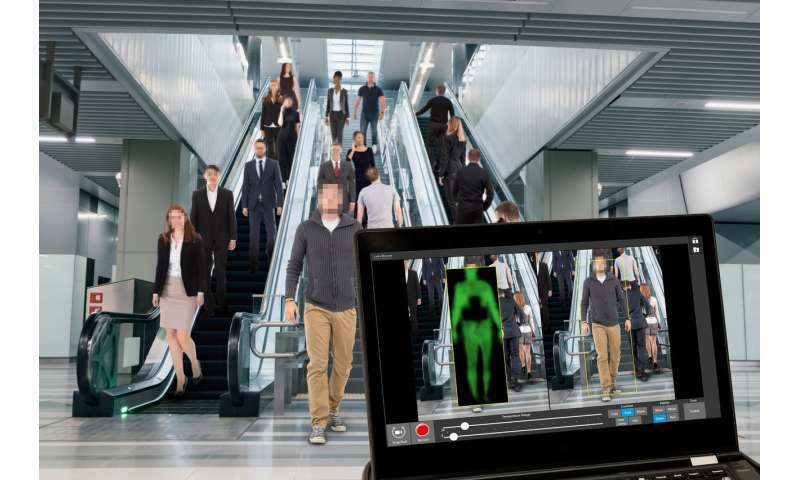 Thruvision acquired rights to the ESA-patented terahertz technology to develop a people-screening capability, and today have over 300 cameras deployed in 18 countries around the world. The Thruvision cameras put in place in the L.A. Metro will be able to screen people and spot hidden objects at up to 10 metres away while passengers simply walk past the system, without any slowdown in their daily commute. As L.A. Metro CEO Philip Washington remarked to the media in August: "Our systems allows law enforcement agents and L.A. Metro security to screen passengers without disrupting foot traffic and to take preemptive action if suspicious items are found." The terahertz technology is part of ESA's intellectual property rights portfolio, consisting of around 450 patents based on space innovations, available for licensing by European companies for space and terrestrial applications. This portfolio is managed through the Agency's Technology Transfer and Business Incubation Office, finding down-to-Earth uses for advanced space technology.